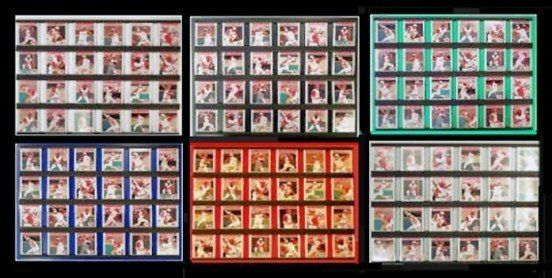 Holds up to 28 regulation (24 with spacing) size trading cards in the included mini-snap protectors! This display is available in six different color choices! CHOOSE COLOR OF YOUR CHOICE ON THE COLOR BOX. Choose from six VIBRANT colors to display your cards or photos! *White, Black, Astro Turf Green, Blue, Red, or Grey. Holds up to 28 regulation size trading cards or photos. Includes 28 clear mini snap protectors. 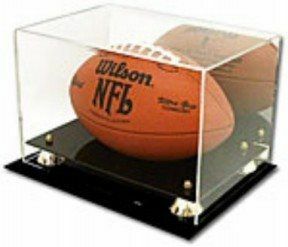 This deluxe acrylic football display case features a black base with gold risers, clear cover, and a mirrored back. 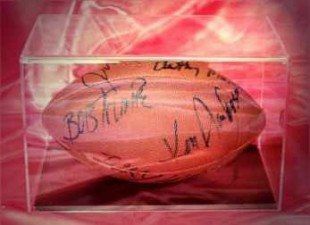 Use this sports memorabilia holder to protect, store and display your collectible footballs from the NFL, NCAA, High School and others. 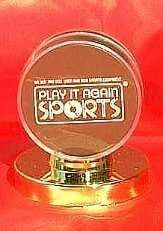 This deluxe acrylic basketball display case features a black base with gold risers, clear cover, and mirrored back. 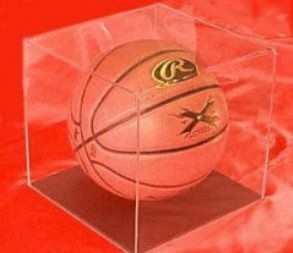 Use this memorabilla holder to protect, store and display your collectible basketballs from the MBA, NCAA, High School and others. 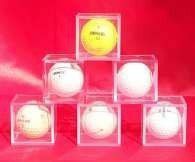 This acrylic basketball display case features a black base/ball rest and clear cover. 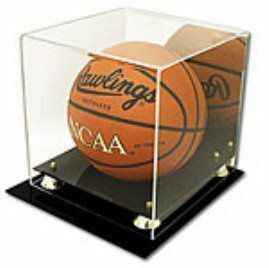 Use this memorabilla holder to protect, store and display your collectible basketballs from the MBA, NCAA, High School and others. Black Gloss Base -Inside: 9,1/2 x 9,1/2 x 9, 1/2"
These novel six sided, fully enclosed 2" x 2" x 2"H cubes are a great way to display special golf balls or anything golf ball size or smaller! Made of 1/8" thick, clear cast styrene has 45 degree angled inner edges and separates in two parts and goes back together securely to display your item. Sold per dozen. in a gold colored base. 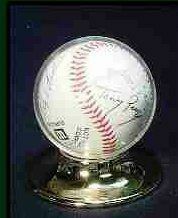 Crystal clear molded display cover protects a Puck from weathering and wear. Clear Display cover lifts out of the base and separates to accept puck. Comes in a gift wrap-able box. In stock, ships within 48 hrs!